A woman who was hit by the lost driver of a tractor-trailer truck has settled her case for $5.35 million. In this issue, we’ll talk about the particulars of her case as well as share information about your rights if you become a truck accident victim. The woman was walking on her way to work when she was stricken by the truck. Her normal routine included parking in front of a business before walking the rest of the way to her office. On the morning of the incident, however, she was instructed by the business owner to park behind the building, as the front area was closed for expansion construction. At the same time, the truck driver had stopped behind the same building to ask for directions as he was lost. When he returned to his truck to drive away, he struck the victim. Her injuries included fractures to her pelvis, hip, ankles, and spine. In her lawsuit, she reported being in constant pain and the development of a foot-drop, the inability to lift the front part of her foot. The victim filed suit against the driver, the owner of the truck and the owner of the business. Before the start of her Feb. 27 trial, she settled with the business owner for $1.9 million. Three days into the trial, the truck driver and the owners he works for settled for $3.45 million. While the injuries suffered by the victim in the case described above are not life-threatening, she will most likely require extensive rehabilitation in her recovery. 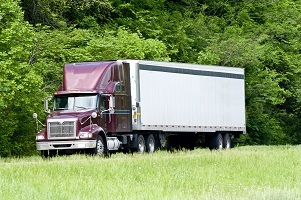 Cases involving truck drivers can be tricky because they can be independent contractors who own their own rigs or – as in the case above – can be employees of large trucking companies. There is a host of regulations and laws dictating how truck driver’s carry out their jobs, so it’s crucial that your lawyer has a clear understanding of these. The chances are better than average that if you’re involved in such an incident, you’ll be contacted by the trucking company and their insurance provider with hopes of getting you to settle your case for far less than what you could be awarded in court. If this happens to you, do let them get away with bullying you. Instead, call us here at Barber & Associates. We’ve recovered more than $45 million in verdicts and settlements for Alaskans. For a free consultation, call us at (907) 276-5858 or you can reach us via email.